Clear Speech from the Start gives beginning students immediate help in mastering the crucial elements of English pronunciation. 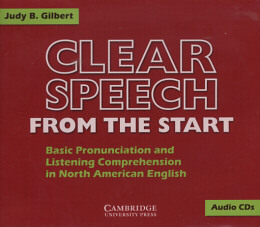 The audio program for Clear Speech From the Start includes a broad selection of exercises recorded by a variety of speakers in natural-sounding speech. The program is also available on Audio Cassette.